Editor’s Note: This is Part 6 of our Campus Pit Stop series of articles highlighting automotive engineering work being done on campuses across America. The series covers some of the schools’ participation in the Formula SAE and Baja SAE programs. For more information on these programs, please see our Campus Pit Stop introduction post. Off-roading enthusiasts are used to hitting rough patches. It’s those roughest, most-challenging parts of the journey that often lead off-roaders to great destinations that others simply cannot reach. 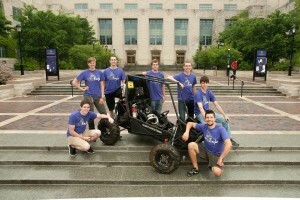 A small group of Northwestern University students is hoping that’s the case for its Baja SAE team. 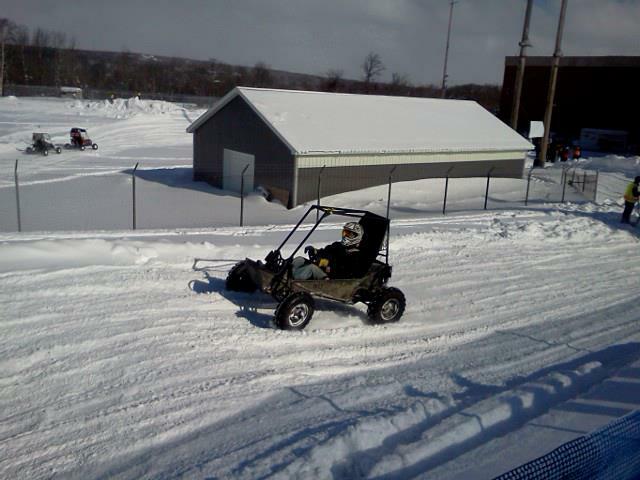 Northwestern University Baja was founded in 1988 and is the oldest vehicle team on campus. However, the team has gone through tough times in recent years and was almost completely defunct until a small group of students decided to resurrect the program. Jones and the team, which now consists of seven members, is now dedicated to setting up the team to succeed now—and in the future. Jones said the Northwestern University team historically made it to competition about once every three years due to its dependence on a small, unorganized group. Using the Baja car started by earlier team members, the new and rejuvenated group was able to the complete the vehicle in time for competition at the 2013 Baja SAE Tennessee Tech event. “The new recruits added ideas and motivation to get the whole operation up and running again,” Jones said. Because maneuverability is key in the Baja SAE competitions, much of the engineering focus was on the car’s frame and suspension. After closely studying the car it inherited from previous members, the 2013 team researched and modeled the final design using Solidworks CAD software. They were able to add strength and torsional rigidity to the super-lightweight frame using FEA simulations, and the team also added a HDPE skid plate to protect the underbelly of the vehicle. The vehicle’s suspension offers almost a foot of travel and provides tons of ground clearance to navigate the competition’s various off-road challenges. Jones said the team gave extra attention to camber control to maintain predictable traction and used adjustable shock absorbers from Fox Racing to adapt spring and damping rates to the different challenges. Each team in Baja SAE must use the same Briggs & Stratton engine, but the drivetrain and gearing can be engineered to suit the vehicle. The Northwestern team opted for a continuously variable transmission, a custom single-speed gearbox, and a unique unlockable differential that allows the driver to disengage either drive wheel. Despite the new team’s short existence—and the fact it was the first any of the members had attended—the team managed to finish in the middle of the pack of 100 schools. 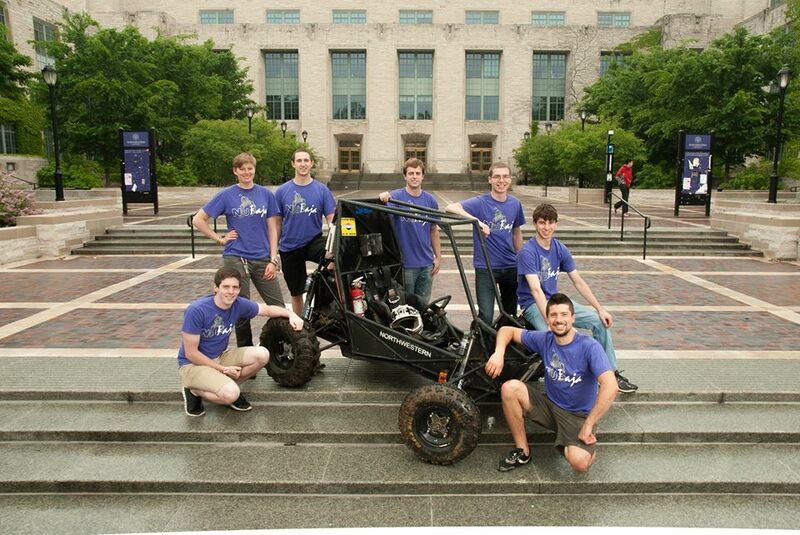 Before leaving Northwestern University, Jones and the current seven-member team is hoping to the set up the Baja SAE team for sustainable future success. They had to start nearly from scratch. Jones went to work re-establishing the team, creating a website, developing a new team logo, and obtaining sponsorships to help fund the team’s work. She also helped build the team back up to its small but productive group of seven of members. The group also plans to share what it learned from the 2013 Baja SAE Tennessee Tech event with future members to keep the team’s momentum going. For example, Jones says the next car needs to be lighter and easier to work on. Jones says the team is also researching, designing, and testing a new suspension , which will essentially shorten up the tubing on the A-arms thereby minimizing the vehicle’s overall weight. “We’re making documentations on everything we do for future members,” she said. So what’s next for Northwestern University Baja SAE? The team is ready to shorten its design cycle from a historically long three-year process to a one-year cycle, in which the team competes in Baja SAE every year. They are hoping its experience from last year, along with increased sponsorship and recruitment, will help them reach a higher destination in the Baja SAE standings in 2014 and beyond. “You’re working with a group of people who are constantly identifying problems and coming up with solutions—it’s always in flux,” she said. “You’re meeting people, making connections, and even learning to do a business presentation. 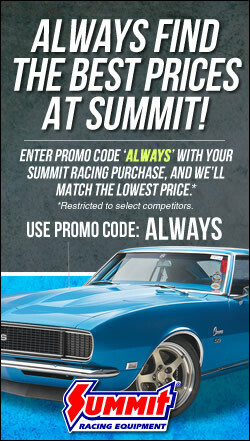 Plus, the car experience makes you more confident in technical settings.